I grew up in the Plymouth Brethren or the Darbyites, as outsiders might call us, to identify us with John Nelson Darby. In French this group was called the Darbystes. 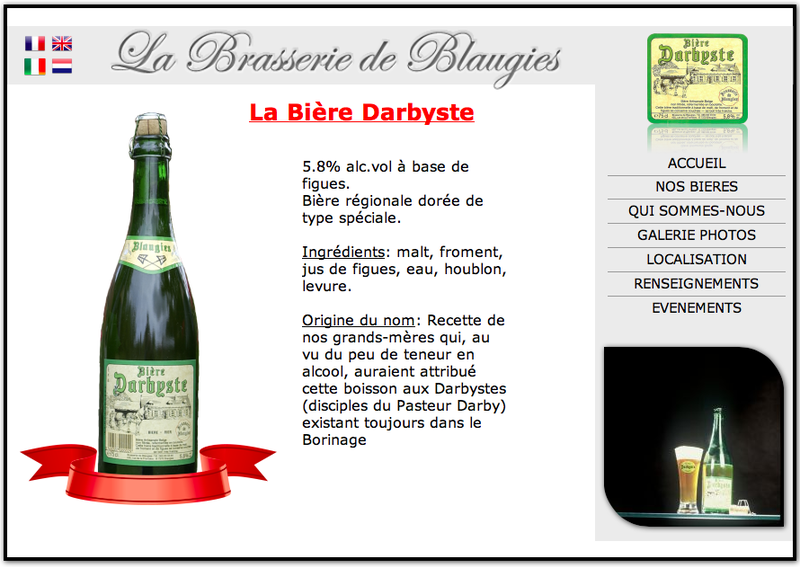 I was researching the Darbystes and the first hits were the name of a Belgium beer. I did not at first think that there was any connection. But apparently there is! Our family and our religious group, in North America, were complete teetotallers. We did not touch alcohol or allow a bottle of any alcoholic drink in our house – ever. This links to Challies post about Arthur Guinness. I had never really associated beer with Christianity before. Suzanne, you are *so* not a Lutheran.